This article was originally published by Mobile World Live. Iran’s new telecommunication minister wants to take legal action against Apple for removing Iranian apps from the App Store due to US sanctions, Press TV reported. In a tweet, telecommunication minister Mohammad Javad Azari Jahromi said Apple should respect its Iranian consumers, estimated to be around 7 million (Twitter is offically blocked in Iran, as is Facebook and YouTube). “Eleven percent of Iran’s mobile phone market share is owned by Apple. Giving respect to consumer rights is a principle today which Apple has not followed. We will follow up the cutting of the apps legally,” he said. 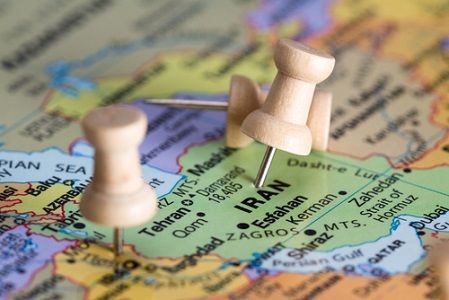 Earlier, Apple had said: “Under the US sanctions regulations, the App Store cannot host, distribute or do business with apps or developers connected to certain US embargoed countries,” after Iranian developers began noticing their apps disappearing from iOS. Officially, Apple has no presence in the country. Its devices and App Store are not available, but consumers manage to buy iPhones from cities including Dubai and Hong Kong and local developers offer apps through the App Store outside Iran. The Obama administration in the US had eased sanctions for technology companies, but new US President Donald Trump signed a fresh sanctions bill into law this month, although it is not clear what it means for tech companies. “The apps removed by Apple are not banned by any sanctions and the company is choosing to discriminate against Iranians. We urge Apple to comply with the law and allow Iranians the full range of permissible technologies and services,” the organisation added. Ride-hailing app Snapp and online food delivery app Delion Foods are some of the services recently removed by Apple. If the U.S. sanctions are meant to target anyone to put a political pressure, we, startups and end-users, are not the players of this game! In January, Press TV reported Apple was removing Iranian apps which enable transactions for businesses based in Iran. Google allows developers to publish Android apps as long as there is no purchase involved.